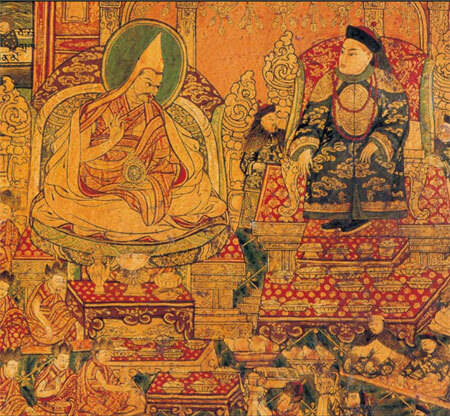 The Fifth Dalai Lama established warm relations with the Shunzhi Emperor of China, the second Manchu emperor of the Qing Dynasty, during a state visit to Beijing in 1652 after several earlier invitations (see pic). He set out accompanied by 3,000 men and stayed at the Yellow Palace which had been specially constructed by the Manchu emperor to house him. 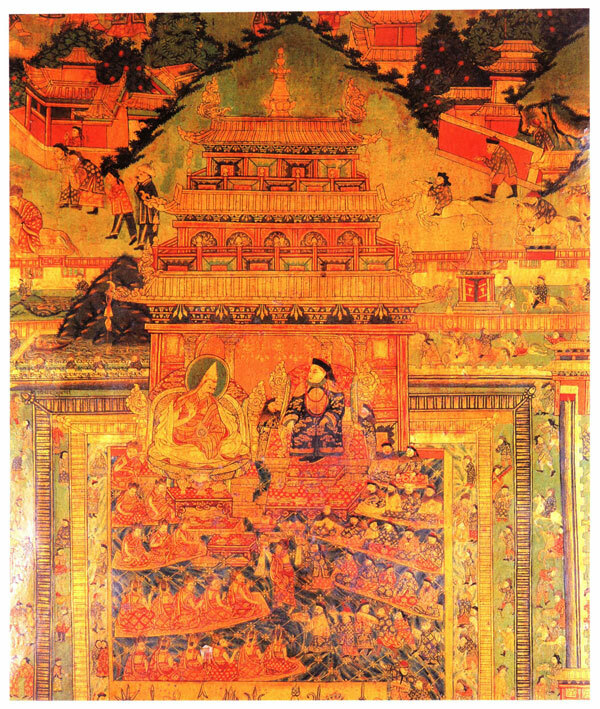 The emperor met the Dalai Lama in January 1653 when he was only 14 (15 by Western reckoning). The Dalai Lama stayed in Beijing for two months and was honoured with two grand imperial receptions. 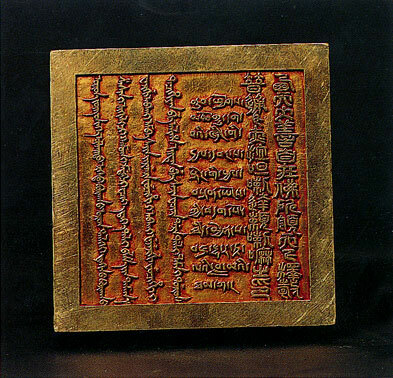 The Emperor subsequently granted him the honorific title Dalai Lama, Overseer of the Buddhist Faith on Earth Under the Great Benevolent Self-subsisting Buddha of the Western Paradise, and presented him a golden seal (see pic below). This entry was posted on Sunday, February 12th, 2012 at 6:35 pm	and is filed under Articles. You can follow any responses to this entry through the RSS 2.0 feed. You can leave a response, or trackback from your own site. It is just so heart warming to see how much respect the Shunzhi Emperor has for the fifth Dalai Lama. Building a place for the Dalai Lama to stay in while the Dalai Lama visits China. Through this it shows how religious China has always been since the time of the Fifth Dalai Lama. After reading this article, it is also a little saddening that the current Dalai Lama is not being able to return to Tibet which is now under the ruling of China. It just shows how time changes things, in this case the respect that China used to have for the Dalai Lama.